40,000 years ago the first modern humans arrived in Europe. They were the scions of a great scattering of Africans. 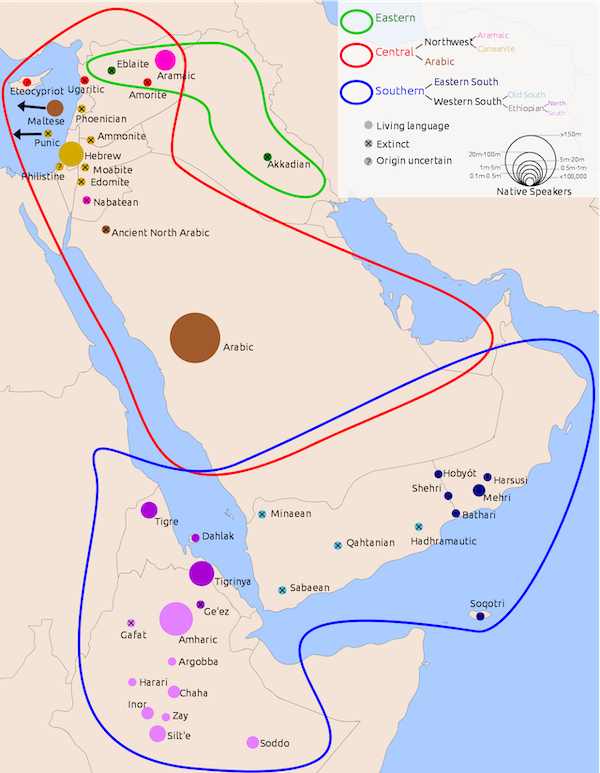 One branch of the “Out of Africa” migration, from which the vast majority of the ancestry of modern peoples derive. These early modern humans were responsible for the cave paintings which are among the oldest works of art known from our species. Their cultural impact is powerful and has shaped our conceptions of the past for the past few centuries, as we’ve begun to develop an antiquarian interest as a species. And yet it is notable that modern humans arrived in Europe thousands of years after they settled Australia. This, despite Europe being much closer to Africa than Australia as a simple matter of geography. A straightforward explanation for the relatively late settlement of modern humans in Europe is that they were not the only humans present in Eurasia during their expansion out of Africa (in contrast to Australia, where placental mammals aside from bats were nearly nonexistent before the arrival of our species). Neanderthals had occupied the whole zone between the Atlantic and the Altai in a broad high latitude belt for hundreds of thousands of years, with their Denisovan cousins ranging further east. In the Near East, Neanderthals seem to have moved south during colder periods, as African-related humans retreated, with the dynamic reversing during warmer periods. Anatomically modern humans, people with more delicate skulls and flatter faces, had been present in Africa for hundreds of thousands of years while the Neanderthals flourished to their north. But the coexistence was not to last. Something different happened 40,000 years ago. A few thousand years after the arrival of modern humans in Europe, the Neanderthals disappeared from the fossil record. In the last decades of the 20th-century, the dominant view was that the Neanderthals had been marginalized or exterminated to extinction. They were an evolutionary dead-end, and the humans who arrived 40,000 years ago were the ancestors of modern Europeans. But with DNA, ancient and not so ancient, the truth turns out to be more complex than we had imagined. In 2010 researchers in Germany discovered that the ancient genome of the Neanderthals had left an imprint in all the peoples outside of Africa. From Europe to Australia to the Americas. The conclusion is clear: our African ancestors mixed with Neanderthals somewhere in the Middle East before they spread out across the world. Yet modern Europeans actually have less Neanderthal ancestry than people from eastern Asia, despite the fact that Neanderthals were residents of Europe for hundreds of thousands of years. These strange facts tell us the deep human past was not a straightforward process of replacement and settlement, but probably involved multiple migrations and mixtures. When the first genome of a 40,000-year-old modern human European was sequenced, the results surprised many people. The remains were from Peştera cu Oase, in Romania. The individual was from an early Aurignacian culture. This is the first archaeological tradition in Europe associated with modern humans. 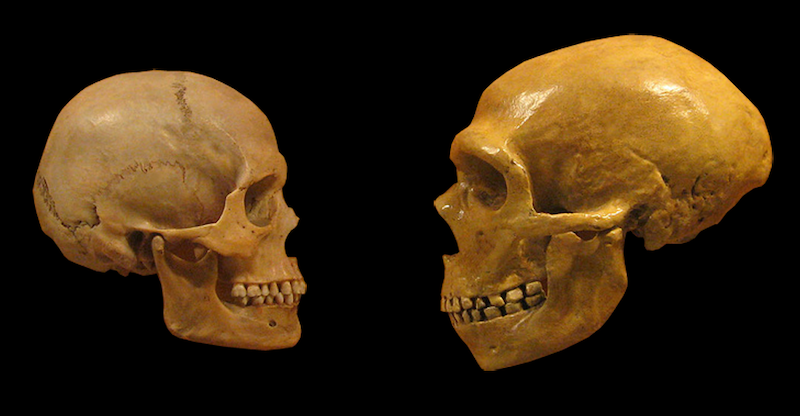 The two primary genetic findings from the individual who died at Peştera cu Oase is that they do not seem to have left any descendants among modern Europeans, and, they had considerably more Neanderthal ancestry than modern Europeans. In fact, this particular individual had a recent Neanderthal ancestor four to six generations earlier! So the earliest modern humans in Europe mixed with local Neanderthals, but also seem to have left no descendants today. Because of Europe’s historical support for archaeological research, and the reality that the cool climate is optimal for preservation of remains and artifacts, the European Upper Paleolithic is well defined by many cultures with familiar names. Aurignacian, Gravettian, Solutrean, and Magdalenian. These are just a few of the cultures which are well known to us from copious remains and objects. These societies have served as the basis of popular cultural representations, from the Aurignacian people in The Clan of the Cave Bear to the Magdalenian tribe depicted in the 2018 film Alpha. If the Neanderthals represent one source of the archetype for “cavemen”, then these Ice Age European cultures represent another. Now, over the past decade, geneticists have assembled a European temporal transect of samples from the period between 40,000 and 10,000 years ago. The whole period of the Upper Paleolithic occupation of Europe by modern humans. What they have confirmed is that Pleistocene Europe was defined by population turnovers and mixtures, which reshaped Europe’s genetic landscape several times across the Ice Age. This was not a static time, but a dynamic one. The European hunter-gatherers who were indigenous to the continent when farmers arrived from the Near East with the Neolithic Revolution were themselves relatively recent arrivals, expanding only after the Last Glacial Maximum. 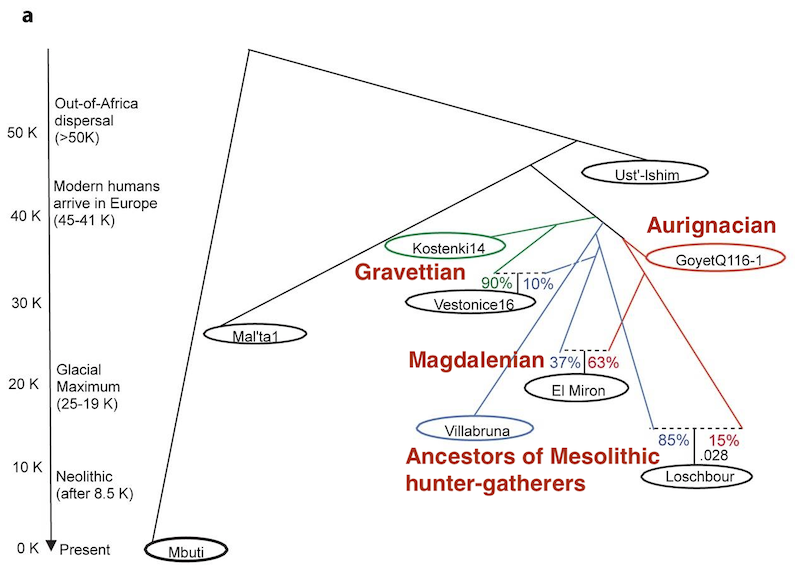 Though only a small proportion of the ancestry of modern Europeans seems to date to these Pleistocene peoples, the ancestry of later Aurignacian cultures, as well as the Gravettian, Magdalenian, archaeological complexes, has left an impact on modern Europeans. The demographic history of Europe has been characterized by several repeated pulses of migration from the southeast and east. The earliest Aurignacians were replaced in totality, but the later ones seem to have been absorbed into the Gravettians, and also persisted in pockets across Western Europe, only to reemerge as one of the primary ancestral groups for the Magdalenian people. After the end of the Last Glacial Maximum, a final group of Pleistocene hunter-gatherers emigrated out of the fringes of Southeast Europe, the Near East, and the Caucasus, and assimilated the remnants of these earlier cultures. It was this last wave of hunter-gatherers who eventually gave rise to the Mesolithic hunter-gatherers of Europe and also contributed to the ancestry of the first farmers in Anatolia, the Levant, and the Zagros. 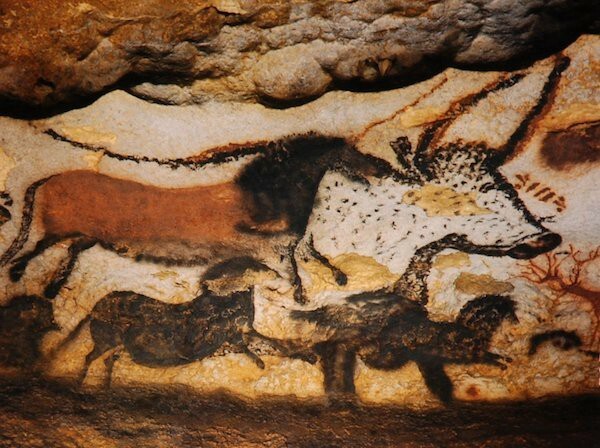 The peoples of Ice Age Europe have left art which fascinates us to this day. Their efflorescence of creativity was such that the idea of “behavioral modernity” and the cognitive “great leap forward” arose to explain the new genius of our species. Now genetics now tells us that these early Europeans, who occupied the content for 30,000 years before the end of the Ice Age, left only a shadowy and faint imprint on present generations. In that way, they share a fate with the Neanderthals. But the artistic legacy is something that will persist, haunting our imaginations. 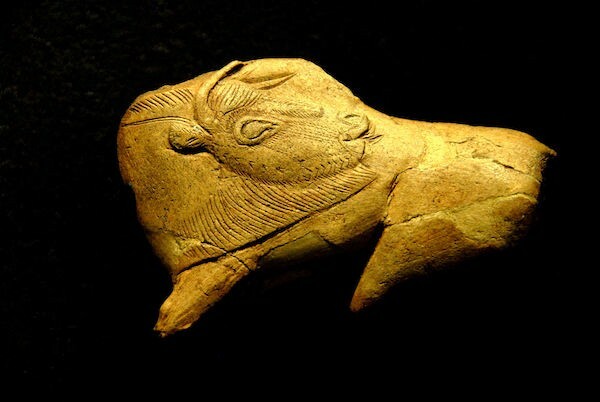 Though they may not be the ancestors of modern Europeans in a literal genealogical sense, through their works the influence of Pleistocene Europeans has persisted across the eons, and will continue to do so. 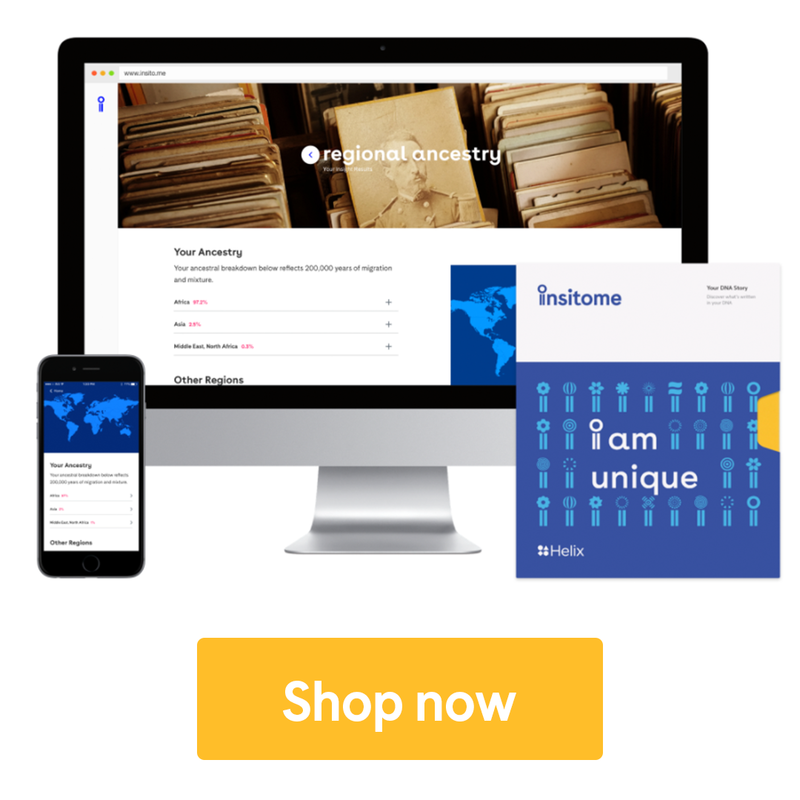 Echoes of Europe’s Pleistocene Past was originally published in Insitome on Medium, where people are continuing the conversation by highlighting and responding to this story. Do the Amerindians descend from Southeast Asians? 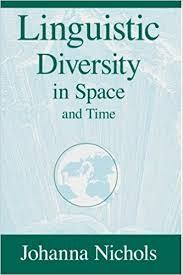 Many people have recommended I read Johanna Nichols’ Linguistic Diversity in Space and Time over the years. I checked out the book in grad school once but didn’t get around to reading it. But today I see it being referenced in Stephen Oppenheimer’s very strange book about Lemuria-I mean Southeast Asia, Eden in the East. Both of these books were written in the late 1990s, before the current swell of genome-wide and ancient DNA analysis. Oppenheimer reports Nichols’ comparative analysis of linguistics implies that the ancestors of the Amerindians were not interior Siberians, but coastal people who came up from Southeast Asia. Today we know this is somewhat wrong. About 30 to 40 percent of the ancestry of modern Native Americans derives from Ancient North Eurasians, who seem to be most commonly found in the great Eurasian heartland, probably to the east of what we think of today as Europe, but west of the Pacific. But there’s more. Most of the ancestry of Native American peoples seems to be more like that of East Asians. Today this component extends rather far north, into Korea, Japan, and such. But these are consequences of recent demographic movements. Nichols’ Southeast Asian hypothesis may actually not be off-base, in particular in light of other evidence suggesting admixture with an Australo-Melanesian population. 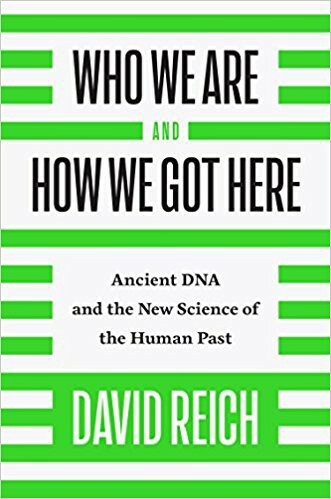 One of the major issues with the field of ancient DNA and the historical inferences people make is that the theories and models are often quite ad hoc, and emerge in response to the data. But these earlier ideas, informed by linguistics and archaeology, are actually a pretty good source of possible ideas. 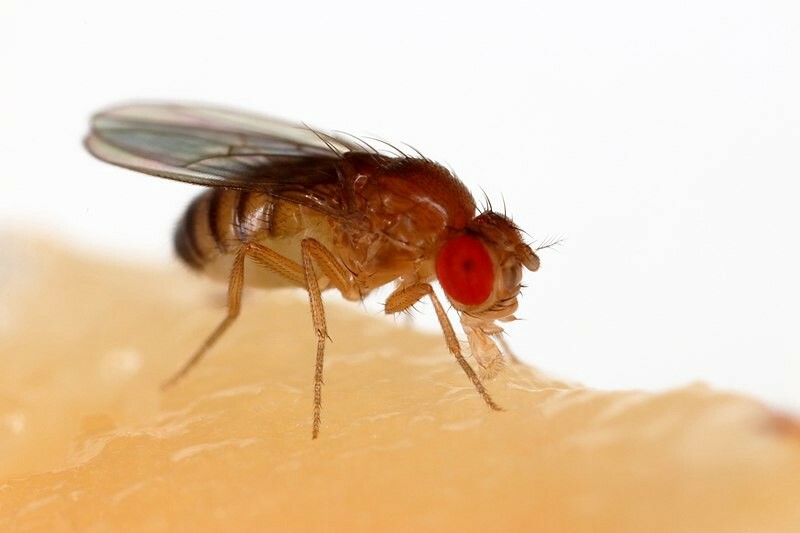 They may not be constrained by genetics, because we didn’t have that information (aside from mtDNA), but are richly informed by other disciplines. 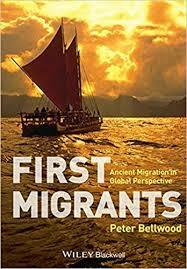 Comments Off on Do the Amerindians descend from Southeast Asians? 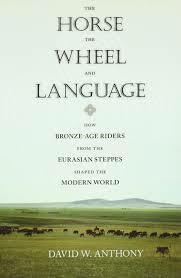 It’s been ten years since I read The Horse, the Wheel, and Language: How Bronze-Age Riders from the Eurasian Steppes Shaped the Modern World. It’s a great book, but some of the material was very wrong. The author, David Anthony, helped provide samples which undercut his thesis that Indo-Europeanization in Europe was mostly a matter of elite cultural diffusion. Rather, it looks as if there was a massive migration from the steppes. 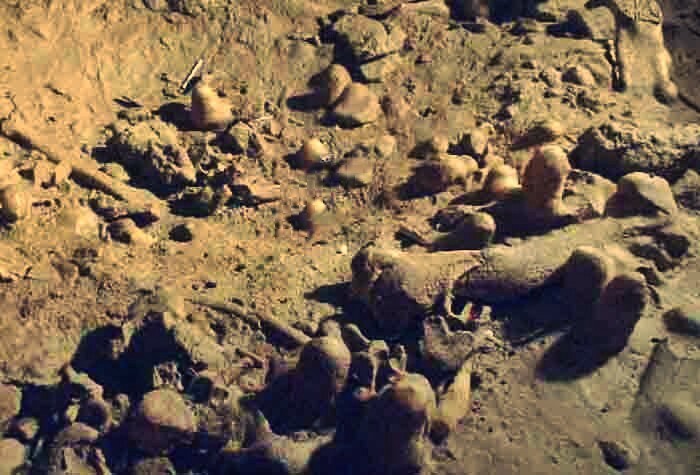 …Burials at Verteba Cave are largely commingled and secondary in nature. A total of 68 individual bone specimens were analyzed. 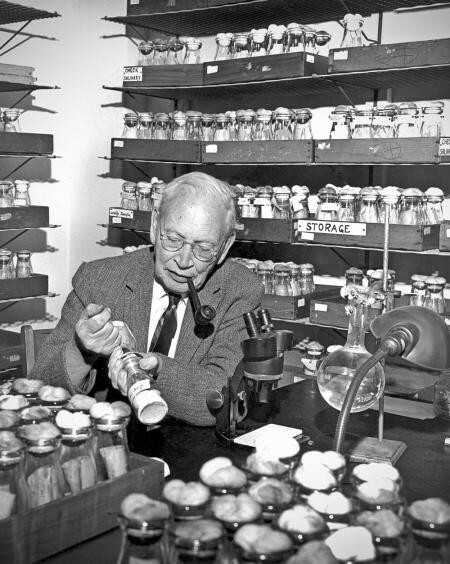 Most of these specimens were found in association with well-defined Tripolye artifacts. We determined 28 mtDNA D-Loop (368 bp) sequences and defined 8 sequence types, belonging to haplogroups H, HV, W, K, and T. These results do not suggest continuity with local pre-Eneolithic peoples, but rather complete population replacement. We constructed maximum parsimonious networks from the data and generated population genetic statistics…We find different signatures of demographic expansion for the Tripolye people that may be caused by existing population structure or the spatiotemporal nature of ancient data. Regardless, peoples of the Tripolye Culture are more closely related to early European farmers and lack genetic continuity with Mesolithic hunter-gatherers or pre-Eneolithic groups in Ukraine. There is stuff in the preprint about population expansion. My personal opinion is that in most cases genetics doesn’t add much beyond what archaeology does for humans in reconstructing population history. Rather, these results in concern with others are strongly indicative of population turnover. Uniparental lineages are still useful, but only in the context of other data. The great thing about genetics when it is so clear and striking is that it clears up confusions about relationships in the past that otherwise would be unclear. It’s like having a time machine. So we now know that early European farmers (EEF). Over the next decade or so we’ll get a really granular understanding of the ebb and flow of populations across prehistoric and historic Europe. This won’t abolish all controversy, but it will reduce the space of the unknown…. The revolution which came to archaeology without archaeologists? The recent letter to Nature, Genetic origins of the Minoans and Mycenaeans, has elicited some response from those outside of genetics. The first author of the paper linked to these two, Who are you calling Mycenaean? and On genetics and the Aegean Bronze Age. In a press interview following the publication of the study, one of the main authors claimed that ‘there is no doubt that our findings reflect historical events in the Greek lands’: ‘the picture of historical continuity is crystal clear, as is very clear the fact that through the centuries Greeks evolved receiving genetic influences from other populations.’ The category of ‘Greekness’ here appears more or less given and stable, despite the ‘influences’, from the Early Bronze Age to the present. It sounds like a version of the 19th-century national narrative of the power of eternal Hellenism to absorb external influences. Context is important here. The last ten years have seen a massive updating of our assumptions about the nature of demographic change in the pre-modern world. Geneticists using ancient DNA have been central to this process. They’ve overturned a lot of archaeological orthodoxies. One of the major assumptions seemingly at the heart of the two critical posts is that modern ideas of nationhood were a recent construction. The stylized assertion is that modern nationalism begins with the French Revolution. To me this is like the assertion that the troubadours invented romantic love during the High Middle Ages. While it is true that the troubadours popularized a particular form of romantic love, the core emotional impulses are primal, and didn’t need “inventing.” Similarly, ideas of nationality are clearly primal, because they derive from the tribal structures of prehistoric humanity. Tribes are an evoked part of human culture. That is, given similar cognitive hardware, the same software seems to get installed for the same tasks (group cohesion and inter-group competition). Ironically, the period between the “rise of civilization” and the modern era may have been one defined by the regression of nationalistic thinking, because tribalism had to be suppressed with the rise of multiethnic agricultural states. Only with early modern information technology, and the spread of a literate middle class culture united by common mores and touchstones, could primal tribalism be transformed into modern nationalism (to this way of thinking it is not a coincidence that German nationalism with the Lutheran Reformation was supercharged by the arrival of the printing press). Peter Heather in Empires and Barbarians and Azar Gat in Nations outline the revisionist views I’m alluding to in regards to the ancient origins of nationalism. But from a perspective of a geneticist the very high differentiation between nearby groups that persist for hundreds and even thousands of years is indicative of high levels of cultural distinction and consciousness (because only small amounts of gene flow between groups is enough to eliminate differences very rapidly). Genetics can’t maintain these sorts of differences, only strong cultural ideologies can. First, there’s not much new here. I mean, the data are new, but the conclusions are largely consistent with the archaeological consensus: there’s no big genetic difference between “Minoans” (Late Bronze Age Cretans) and “Mycenaeans” (Late Bronze Age inhabitants of the Greek mainland), and both are pretty close genetically to Late Bronze Age southwestern Anatolians…. 1) the spread of Beaker culture from Southwest Europe to Central Europe was one of cultural transmission (archaeologists would not be surprised). 2) the spread of Beaker culture to England from Central Europe was one of demographic replacement on the order of 90% over a few hundred years (archaeologists would be surprised). It’s easy for archaeologists to be surprised that geneticist are presenting ideas that they “refuted” in the 1960s. But it turns out that the predictions on a demographic scale are easily refuted in many places and times by genetics. The issue isn’t whether it’s pots or peoples, but what the mix of pots and people are. This research is part of a broad program of nailing down the values in these parameters, as opposed to simply going along with archaeological orthodoxy. Comments Off on The revolution which came to archaeology without archaeologists? he genome of a young boy buried at Mal’ta near Lake Baikal in eastern Siberia some 24,000 years ago has turned Tout to hold two surprises for anthropologists. The Mal’ta boy was aged 3 to 4 and was buried under a stone slab wearing an ivory diadem, a bead necklace and a bird-shaped pendant. Elsewhere at the same site some 30 Venus figurines were found of the kind produced by the Upper Paleolithic cultures of Europe. The remains were excavated by Russian archaeologists over a 20-year period ending in 1958 and stored in museums in St. Petersburg. The issue I have is that modern Europeans are a new population which emerged through admixture processes over the past ~10,000 years. And one of those populations which contributed to their ancestry are the descendants of the Siberian boy! Talking about “Western Europeans” ~20,000 years ago is geographic convenience. They wouldn’t be “Western Europeans” as we understand them genetically. Even if there wasn’t any recent admixture, ~1,000 generations of drift is not trivial. Though the archaeology may clarify, I also don’t think it is definite that the ancient Siberians were from Europe as we’d understand it. Perhaps they all come from a common Central Eurasian stock which diversified? Not that I have a better solution for terminology. The post Our ancestors are part us…or the other way around? appeared first on Gene Expression. Comments Off on Our ancestors are part us…or the other way around? But first we need to backtrack a bit. Let’s think about what we knew in the early 2000s. If you want a refresher, you might check our Spencer Wells’ The Journey of Man or Stephen Oppeneheimer’s Out of Eden, which focused on Y and mtDNA lineages respectively. These books were capstones to the era of uniparental phylogeographic analysis of the spread and diversification of anatomically modern African hominids ~50-100,000 years ago. Rather than looking at the whole genome (the technology was not there yet) these researchers focused on pieces of DNA passed down via direct maternal or paternal lineages, and reconstructed clean phylogenetic trees using a coalescent framework. Broadly speaking these trees were concordant, and told us that our lineage, all extant humans, derived from a small African population which flourished ~100,000 years ago. These insights suffused the thought of human evolutionary thinkers in other disciplines (see The Dawn of Human Culture). H. sapiens sapiens, veni, vidi, vici. After that initial “Out of Africa” migration a series of bottlenecks and founder events led to the expansion of our lineage, as it replaced all predecessors. By the Last Glacial Maximum, ~20-25,000 years ago, the rough outlines of human genetic variation were established (with the exception of the expansion into the New World). We know now that this picture is very incomplete at the most innocuous, and highly misleading given the least charitable interpretation. Reticulation. Graphs. Admixture. These words all point to the reality that rather than being the culmination of deep rooted regional populations which date back to the depths of the Pleistocene, most modern humans are recombinations of ancient lineages. On the grandest scale this is illustrated by the evidence of ‘archaic’ ancestry in modern humans. But even more pervasively we see evidence of widespread admixture between distinct lineages which are major world populations which we think of as archetypes. This is true for Amerindians, South Asians, and Europeans. This is also the case for Ethiopians, and Australian populations. A major problem crops up when we talk about extinct ancient populations which were the founding substituent elements of modern ones: it doesn’t make sense to use modern referents when they are simply recombinations of what they are describing. But language and history being what they weare we can’t change the awkwardness of talking about “Ancestral North Eurasians,” anodyne and somewhat incoherent at the same time (Eurasia is a modern construct with contemporary historical salience). Into the mix comes another ancient DNA paper which reconstructs the genome of a boy who lived in Siberia, near Lake Baikal, somewhat over 20,000 years ago. It’s titled Upper Palaeolithic Siberian genome reveals dual ancestry of Native Americans. Here’s the topline finding: a substantial minority of the ancestry of modern Native Americans derives from a North Eurasian population which has closer affinities to West Eurasians than East Eurasians. And, this is an old admixture event. In the paper itself they observe that all “First American” populations seem to exhibit the same admixture distance to the Siberian genome. These results are also broadly consistent with the admixture of this population in Western Eurasia, especially northeast Europe. As among Amerindian populations it seems that this element is at substantial minority across Europe as a whole, and perhaps at parity in some populations, such as Finns. To the left you see the geographical affinities of the MA-1 Siberian sample. It is shifted toward West Eurasians in the PCA. But on the map with circles representing populations, the definite evidence of admixture between Amerindians and MA-1 is clear in the shading. The statistic used, f-3, looks for complex population history between and outgroup (X) and a putative clade. From this test it is evident Amerindians had some admixture related to MA-1. Because of the dating of Siberian remains it does not seem likely that admixture was from Amerindians to West Eurasian and related populations. Rather, the reverse seems more plausible. You can also see from the map the close affinities with particular European and Central Asian populations of MA-1. This is intriguing, and requires further follow up. Though MA-1 and its kin were closer to West Eurasians than East Eurasians, it still seems likely that there was an early divergence between the populations of north-northeast Eurasia, and those of the southwest. Eventually they came back together in various proportions to produce modern Europeans, but it seems likely that during the Pleistocene these two groups went their own way. There are hints of this in the TreeMix plot to the right. Note now drifted MA-1 is in relation to other West Eurasians (the branch is long). I suspect some of this is due to the fact that this individual is nearly 1,000 generations in the past. Not only is it difficult to name ancient populations with those of moderns, I suspect that some of the variation in the ancient populations has been lost, and so they seem exotic and difficult to fit into a broader phylogenetic framework (they had hundreds of thousands of SNPs though). And yet MA-1 can be fitted into the broader framework of populations which went north or west after leaving Africa because of mtDNA and Y chromosome results. Both of these indicate that MA-1 was basal to West Eurasians, with haplogroup U for mtDNA, and R for the Y lineage. To really understand what’s going on here is going to take a while. A later subfossil, circa ~15,000 years before the present, yielded some genetic material, and exhibited continuity with MA-1. This suggests that Siberia may have had massive population replacement relatively recently. We know this was likely the case elsewhere. Reading Jean Manco’s Ancestral Journeys one possible scenario is that Pleistocene Europeans were MA-1 like, but were replaced by Middle Eastern farmers in the early Neolithic. But later eruptions from Central Asia brought mixed populations (Indo-Europeans?) with substantial MA-1 affinities to the center of European history. Finally, one must make a note of phenotype. The authors looked at 124 pigmentation related SNPs (see supplemental). The conclusion seems to be that MA-1 was not highly de-pigmented, as is the case with most modern Northern Europeans. This stands to some reason, as substantial ancestry of this sort in Amerindians would result in phenotypic variation which does not seem to be present. Though the authors do suggest that coarse morphological variation among early First Americans (e.g., Kennewick Man) might be due to this population, which had West Eurasian affinities. Where does this leave us? More questions of course. Though I’m confident the befuddlement will clear up in a few years…. Addendum: Please read the supplements. They’re rich enough that you don’t need to read the letter if you don’t have access. Also, can we now finally bury the debate when east and west Eurasians diverged? Obviously it can’t have been that recent if a >20,000 year old individual had closer affinity to western populations. The post The long First Age of mankind appeared first on Gene Expression. I haven’t said much about this article in Science, Ancient DNA Links Native Americans With Europe, because it would be an understatement to say I’m digesting it. I would offer up a caution that using terms like “Europeans” and “East Asians” for populations which flourished ~25,000 years ago might be misleading. We are used to thinking of genetic distance in terms of space, but time is also a dimension to consider. Populations even without admixture or gene flow will have drifted in allele frequencies over so many generations. But I have to admit that it seems more and more likely that most extant modern populations are combinations of lineages which diverged very early after the “Out of Africa” migration. We see this clearly with South Asians, and now Europeans and Native Americans. The Reich lab has also found evidence of admixture in in Australians. The closer we look, the more amalgamation we see between disparate lineages. Using the elements of the present to reconstruct the patterns of the past is going to be a more daunting task than most would have guessed. The post The human genetic casserole appeared first on Gene Expression. A month ago I posted Don’t trust an archaeologist about genetics, don’t trust a geneticist about archaeology, in response to James Fallows at At 5% Neanderthal, You Are an Outlier. Fallows has now put up a follow up, The Neanderthal Defense Committee Swings Into Action, where he links to my response post. This prompted the original archaeologist in question to reach out to me via email. I am posting the letter, with their permission, below. By now you have read that the Clovis people may have had contemporaries. In case you didn’t know, until about ~10 years the “standard model” of the peopling of the Americas was that around ~13,000 years ago one single population crossed into the New World via Beringia, and rapidly swept north to south in ~1,000 years. These were the Clovis people, associated with a particular toolkit, and perhaps implicated in megafaunal extinctions. Today this model is no longer held to be sacrosanct, though no clear successor has emerged. It does seem likely that some sort of pre-Clovis population is presumed to exist. These data are interesting because they indicate that there may have been geographical structure in cultural forms even at this early stage in North America, implying that the original peopling of America was not homogeneous. That is, there may have been several founding groups. The Pith: There is a very tight correlation between language and genes in the Caucasus region. If the Soviet Union was the “The Prisonhouse of Nations,” then the Caucasus region must be the refuge of the languages. Not only is this region linguistically diverse on a fine-grained scale, but there are multiple broader language families which are found nowhere else in the world. The widespread Indo-European languages are represented by Armenians, Greeks, and Iranians. The similarly expansive Altaic languages are represented by the Turkic dialects. But in addition to these well known groups which span Eurasia there are the Northwest Caucasian, Northeast Caucasian, and Kartvelian, families. These have only a local distribution despite their distinctiveness. In the age of 500,000 SNP studies of genetic variation across dozens of populations obviously we’re a bit beyond lists of ABO blood frequencies. There’s no real way that a conventional human is going to be able to discern patterns of correlated allele frequency variations which point to between population genetic differences on this scale of marker density. So you rely on techniques which extract the general patterns out of the data, and present them to you in a human-comprehensible format. But, there’s an unfortunate tendency for humans to imbue the products of technique with a particular authority which they always should not have. Nearly 30 years ago, Cavalli-Sforza et al. pioneered the use of principal component analysis (PCA) in population genetics and used PCA to produce maps summarizing human genetic variation across continental regions. They interpreted gradient and wave patterns in these maps as signatures of specific migration events. These interpretations have been controversial, but influential, and the use of PCA has become widespread in analysis of population genetics data. However, the behavior of PCA for genetic data showing continuous spatial variation, such as might exist within human continental groups, has been less well characterized. Here, we find that gradients and waves observed in Cavalli-Sforza et al.’s maps resemble sinusoidal mathematical artifacts that arise generally when PCA is applied to spatial data, implying that the patterns do not necessarily reflect specific migration events. Our findings aid interpretation of PCA results and suggest how PCA can help correct for continuous population structure in association studies. In a series of highly influential publications, Cavalli-Sforza and colleagues used principal component (PC) analysis to produce maps depicting how human genetic diversity varies across geographic space. Within Europe, the first axis of variation (PC1) was interpreted as evidence for the demic diffusion model of agriculture, in which farmers expanded from the Near East ∼10,000 years ago and replaced the resident hunter-gatherer populations with little or no interbreeding. These interpretations of the PC maps have been recently questioned as the original results can be reproduced under models of spatially covarying allele frequencies without any expansion. Here, we study PC maps for data simulated under models of range expansion and admixture. Our simulations include a spatially realistic model of Neolithic farmer expansion and assume various levels of interbreeding between farmer and resident hunter-gatherer populations. An important result is that under a broad range of conditions, the gradients in PC1 maps are oriented along a direction perpendicular to the axis of the expansion, rather than along the same axis as the expansion. We propose that this surprising pattern is an outcome of the “allele surfing” phenomenon, which creates sectors of high allele-frequency differentiation that align perpendicular to the direction of the expansion. You have a lattice which consists of demes, population units, all across Europe. They modulated parameters such as population growth (r), carrying capacity (C), and migration (m). Additionally, they had various scenarios of expansion from the southwest or southeast, as well as two expansions one after another to mimic the re-population of Europe after the Ice Age by Paleolithic groups, and their later replacement by Neolithic groups. They modulated admixture and introgression of genes from the Paleolithic group to the Neolithics so that you had the full range where the final European were mostly Neolithic or mostly Paleolithic. As you can see the strange thing is that in some models the synthetic map gradient is rotated 90 degrees from the axis of demographic expansion! In this telling the famous synthetic map showing Neolithic expansion might be showing expansion from Iberia. Perhaps a radiation from a post-Ice Age southern refuge? One explanation might be “allele surfing” on the demographic “wave of advance.” Basically as a population expands very rapidly stochastic forces such as random genetic drift and bottlenecks could produce diversification along the edge of the population wave front. The reason for this is that these rapidly expanding populations explode out of serial bottlenecks and demographic expansions, which will produce genetic distinctiveness among the many differentiated demes bubbling along the edge of expansion. Alleles which may have been at low frequency in the ancestral population can “fix” in descendant populations on the edge of the demographic wave of advance. This is the explanation, more or less, that one group gave last year for the very high frequencies of R1b1b2 in Western Europe. With this, they overturned the classic assumption that R1b1b2 was a Paleolithic marker, and suggested it was a Neolithic one. A previous study showed that the original patterns observed in PCA might not reflect any expansion events (Novembre and Stephens 2008). Here, we find that under very general conditions, the pattern of molecular diversity produced by an expansion may be different than what was expected in the literature. In particular, we find conditions where an expansion of Neolithic farmers from the southeast produces a greatest axis of differentiation running from the southwest to the northeast. This surprising result is seemingly due to allele surfing leading to sectors that create differentiation perpendicular to the expansion axis. Although a lot of our results can be explained by the surfing phenomenon, some interesting questions remain open. For example, the phase transition observed for relatively small admixture rates between Paleolithic resident and Neolithic migrant populations occurs at a value that is dependent on our simulation settings, and further investigations would be needed to better characterize this critical value as a function of all the model parameters. Another unsolved question is to know why the patterns generally observed in PC2 maps for our simulation settings sometimes arise in PC1 maps instead. These unexplained examples remind us that PCA is summarizing patterns of variation in the sample due to multiple factors (ancestral expansions and admixture, ongoing limited migration, habitat boundary effects, and the spatial distribution of samples). In complex models such as our expansion models with admixture in Europe, it may be difficult to tease apart what processes give rise to any particular PCA pattern. Our study emphasizes that PC (and AM) should be viewed as tools for exploring the data but that the reverse process of interpreting PC and AM maps in terms of past routes of migration remains a complicated exercise. Additional analyses—with more explicit demographic models—are more than ever essential to discriminate between multiple explanations available for the patterns observed in PC and AM maps. We speculate that methods exploiting the signature of alleles that have undergone surfing may be a powerful approach to study range expansions. What’s the big picture here? In the textbook Human Evolutionary Genetics it is asserted that synthetic maps never became very popular compared to PCA itself. I think this is correct. But, the original synthetic maps have become prominent for many outside of genetics. 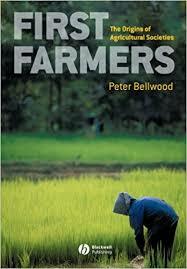 They figure in Peter Bellwood’s First Farmers, and are taken as a given by many pre-historians, such as Colin Renfrew. And yet a reliance on these sorts of tools must not be blind to the reality that the more layers of abstraction you put between your perception and comprehension of concrete reality, the more likely you are to be led astray by quirks and biases of method. In this case I do think first-order intuition would tell us that synthetic maps which display PCs would be showing gradients as a function of demographic pulses. And yet the intuition may not be right, and with the overturning of old orthodoxies in the past generation of inferences from the variation patterns in modern populations, we should be very cautious. Note how much variance there is in terms of the rate of change of the clines. As I’ve observed before there was a “break out” of the LBK farmers into Central Europe nearly 7,000 years ago, but it took much longer to close the gap between the farms on the frontier and the sea. This is well known from the archaeology, as there seems to have been a pause of ~1,000 years across much of the north European plain. On the scale of 10,000 years that’s not much time, but that’s about 40 generations. In Frisia it looks like the spreading of farming stopped for nearly ~2000 years! When cattle, sheep, pigs, and wheat arrived on the shores of Great Britain about 5,000 years ago, fish quickly fell off the Neolithic menu, according to an analysis of human bones scattered throughout the island. “Farming really took off in Britain during the Neolithic. 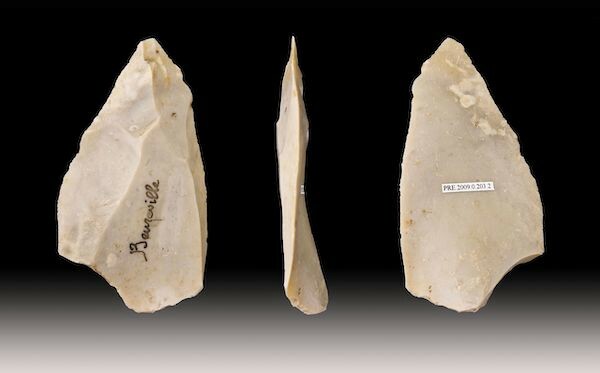 The main questions concerning the speed of change relates to how quickly Mesolithic peoples adapted—or otherwise—to the new farming methods and/or the spread of farming into Britain by new farming communities,” he said. The research by Richards and colleagues Rick Schulting at Queen’s University Belfast and Robert Hedges at the University of Oxford tracks the shift in diet by examining the dietary signature stored in the bones. They find that the shift was rapid and complete at the onset of the Neolithic. “Marine foods, for whatever reason, seem to have been comprehensively abandoned,” the researchers conclude in the September 25 issue of the journalNature. Richards said there are three plausible reasons why the British abandoned seafood from the beginning of the Neolithic: the domesticated plants and animals presented a steady source of food; the shift was forced by a climate change; or cultural pressure. Notice the sharp discontinuity. Richards et al. in 2003 interpreted this as a rapid cultural acquisition of the Neolithic lifestyle ~2500-3000 BC. They note in the media reports that later Britons, for example at the time of the Roman conquest, seem to have utilized fish a bit more in their diet than these early Neolithics. This stands to reason, much of Britain is not too far from the sea. To me the very sharp drop in marine consumption is indicative more of a food taboo, than a practical shift. Obviously farmers would primarily be subsistent on grain, but there’s no necessary reason to avoid meat or fish, but as it happens in many parts of the world societies preserve and perpetuate exactly such norms. These norms may have spread through cultural diffusion, for example through an adoption of a new religion. Or, the norms may have been brought by a new group which arrived in large numbers and replaced the indigenous population. When we think of peoples who aren’t farmers, we often think of marginalized nomadic or semi-nomadic groups. Many of the remaining hunter-gatherers such as Bushmen, as well societies which supplement their conventional lifestyle with a lot of hunting & gathering, such as the indigenous peoples of Siberia or the Sami of northern Scandinavia, occupy territory which is simply not viable for conventional agriculture. But this was not so in the past. Before the farmers arrived the rich bottom-lands were occupied by hunters & gatherers, of fish, game, grain, and nuts. 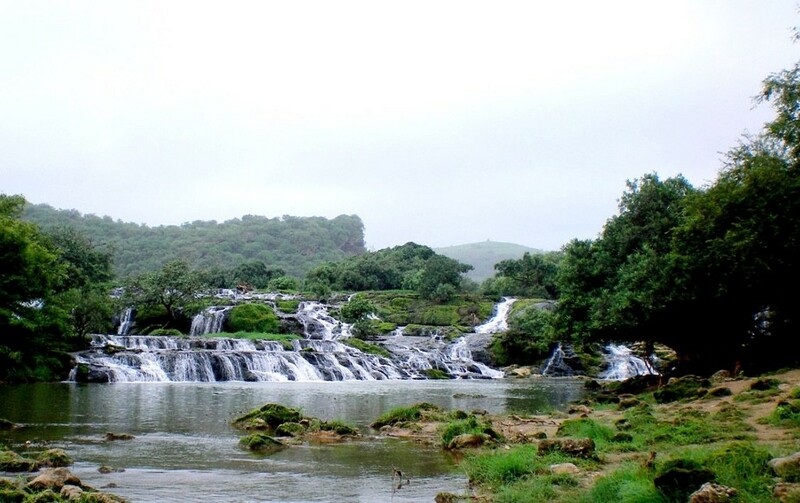 In certain ecologies, such as around productive estuaries one could imagine enormous aggregations of these peoples. Additionally, it seems likely that a sedentary lifestyle predates farming. A good contemporary analog for what ancient Northern Europe may have been like was the Pacific Northwest before the European settlement. These native tribes were relatively affluent because of the abundance of salmon runs, and engaged in lavish signalling, such as with their famous potlatches. Seeing as how there are Atlantic salmon runs in places like Norway and Scotland one can make even closer correspondences perhaps! As I have stated before just because we have no written records of this period, we can not assume that these were necessarily the fragmented and scattered “small-scale societies” which we’re familiar with today. There may have been ideologically motivated political coalitions and alliances which broke down along ethnic and cultural lines. In the paper above the authors argue that there is evidence that a climatic constraint, crops which do not have a good yield in cooler or warmer temperatures, is a weak hypothesis. If so I wonder if it is a bit too pat to simply model the dynamics as a diffusive “bottom up” process. Seems plausible enough for much of Europe where Mesolithic populations were thin on the ground because of local carrying capacity, but I suspect that the encounter between dense agglomerations of farmers and fishermen resulted in an inevitable ramp up of political integration and consolidation, as villages and tribes had to coordinate together because of a positive feedback loop of conflict. When it comes to the synthesis of genetics and history we live an age of no definitive answers. L. L. Cavalli-Sforza’s Great Human Diasporas would come in for a major rewrite at this point. One of the areas which has been roiled the most within the past ten years has been the origin and propagation of the agricultural lifestyle across the European continent between 10,000-6,000 years before the present (starting in Europe’s southeast fringe a few thousand years after the origination of the Neolithic lifestyle in the Levant, and finally pushing into the southern Scandinavian peninsula only ~6,000 years ago). 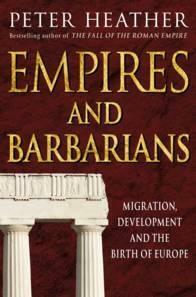 The reasons for this particular debate about the origin of the European are manifold. First, most scholars are of European ancestry, and some of the debates have roots going back a century. So a natural interest exists based on normal human biases. Second, when it comes to genetics the climate of Europe is ideal for the preservation and extraction of ancient DNA. Third, there are relatively clear and distinct theoretical models which can be tested by the data, whether to verify or refute. As I’ve indicated before the archaeological jargon is rather mystifying to me. Some of this is due to translation, the Linear Pottery Culture is abbreviated “LBK” because in the German it is Linearbandkeramik. Rather, I try and focus on some basic concrete parameters: time and space. So we have the first agricultural society with a focus on Central Europe flourishing ~7,000 years before the present. Some now we have the time and space in mind around which we can bracket all the background variables. The big question being asked, and answered, is whether the practitioners of LBK were descendants of Ice Age Europeans who expanded from the “refugia” in the south of Europe during the Last Glacial Maximum (LGM) ~20,000 years ago. To speak intelligently about these issues you need some basic intuition, so you see the map which I found on John Hawks’ weblog showing the line of settlement during the LGM. As the ice retreated presumably the European hunter-gatherers would have rapidly pushed northward, following the species which they consumed. I’ll pass over the methodological nuts & bolts; you can find them in the paper. Obviously this isn’t technically trivial; extracting, amplifying, and avoiding contamination, from DNA samples on the order of 7,000 years old is awesome. As usual they focused on mtDNA because this is found in much larger quantities than nuclear DNA. They did get a few Y chromosomal results though, though mtDNA is the star of the show here. The mtDNA is the maternal lineage, so it can tell you only so much. Additionally, there may be selection dynamics going on to change the frequencies of some of these variants. But with those caveats in hand I think mtDNA patterns can be very informative because if women are on the move that is a pointer to a classic folk-wandering, where a whole people transplant their culture via migration. Many more British women arrived in the New World than Spanish women, and therein lay one of the crucial factors in the difference between Anglo and Latin America. The slide show below has all the major figures of interest. I’ve also replicated the full description, and made some minor edits. Please take in the table; much of the paper really presupposes an intuitive familiarity with mtDNA haplogroup frequencies. The authors also had an Fst table illustrating genetic distances using mtDNA of ancient and contemporary populations. I’ve cleaned up the table a bit, and standardized the values so that the smallest distance = 1. This is mostly so you can make immediate sense of it. What you clearly see is the enormous genetic distance between Central European hunter-gatherers and LBK, who were present in Germany right before the arrival of farmers. This comes very close to a falsification of the maximalist pots-not-people model, whereby farming spread from its point of origin in Anatolia and the Levant through a process of cultural diffusion, just like the alphabet or the potato. The relatively large distance between ancient and modern populations shouldn’t be too surprising, genetic distances operate across both time and space. There are interesting inferences one can make about the nature of gene flow over the past 10,000 years in Eurasia when viewing the relatively small distance between the two modern populations, but really the important point for the purposes of this paper is the high wall between the two cultures who practice differing modes of production. In the paper the authors support, tentatively, a classic demic diffusion process. This is basically a very simple model whereby farmers with larger population growth rates expand into the “space” of hunter-gatherers. But as Dienekes Pontikos notes such a process would also be characterized by dilution of the original Middle Eastern “genetic signal” over time. Rather, what we see here seems to be a total transfer for a population across large distances. The authors themselves note that the LBK farmers seem to have followed the interior lines of rivers and flat-bottom plains. Farmers had discovered a new way to exploit nature, but in the end they were still ecologically constrained. The northern two-thirds of Scandinavia still had hunter-gatherer populations down to the period of the classical Greeks. This was not because of the powerful magic wielded by Väinämöinen. The Middle Eastern derived agricultural toolkit no doubt began to run into its natural ecological limits on Europe’s northern fringe. Without knowing anything further I suspect that the death of the southern Sami culture in the face of Norwegian and Swedish expansion in the early modern period was probably driven by the emergence of more systematic agricultural science, which could push the ecological limits beyond the long-standing equilibrium established in the Iron Age. But I don’t think this is just a story of ecology. It is clearly a story of culture. We assume that culture is easily transferable from society to society. In some ways it is. The original phonetic script of Upper Mesopotamia and Syria seems to have quickly triggered imitation and appropriation from India to Italy within a few centuries of its widespread use by the Aramaeans. But farming is not like the idea of writing. 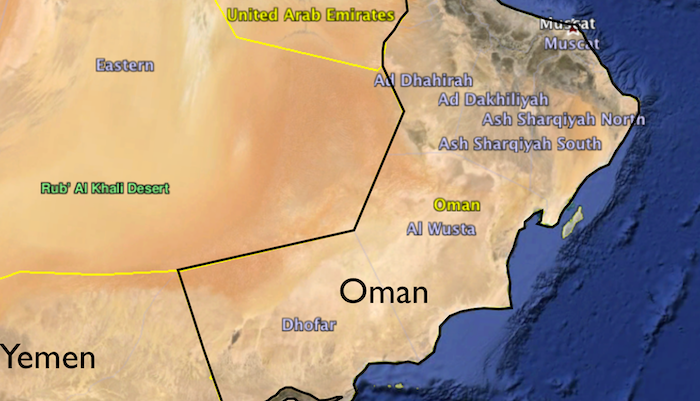 The original farmers seem to have expanded rather slowly initially out of the Middle East. Not only did they perfect the biological character of their crops, they probably perfected the customs and traditions which would go along with farming. A complex suite of explicit rules and implicit norms. Perhaps it was not so easy to simply copy the farming lifestyle? Or, perhaps more interestingly, the hunter-gatherers by and large did not want to copy the farming lifestyle? (this is a tendency among some modern non-farming groups, who would rather work temporarily on farms themselves rather than become full-time obligate peasants) The large genetic distances between the LBK and the hunter-gatherers around them may indicate not only the relatively endogenous growth of the LBK in “virgin” land (e.g., compare to the Yankees of New England in the 17th and 18th century), but, also the emergence of an ideological aversion to mixing with the “savages.” We have plenty of textually attested de-humanization of the “savage” and “barbarian” by the “civilized.” It is likely that the gap between the LBK and the hunter-gatherers of Europe was only somewhat smaller than that between the Aborigines of Australia and Tasmania and the European settlers! In any case, one can speculate a lot right. Ancient DNA has allowed us to refute maximalist versions of pots-not-people, but has also overturned our ability to hold to simple robust models. In science you prefer parsimony, unless parsimony simply can’t explain the patterns at hand. I think we’re there at this point. Comments Off on Sons of the conquerors: the story of India? The main body of the piece is devoted to the revisionists who are probably transforming themselves into the new orthodox paradigm, and I can’t help but wonder if the reference to the date that Betty J. Meggers published her book is a sly allusion to Max Planck’s quip that “science advances one funeral at a time.” Meggers is correct insofar as scientific stardom comes through positive findings and paradigm shifts, and in interpretative fields such as archaeology the need to conform to particular ideological expectations can be strong. The archaeologists funded by Heinrich Himmler naturally glorified the material remains of ancient German societies (though Hitler was reputedly less than impressed with piles of pots). Similarly, one assumes that the very low estimates of Native American populations which were common before the 1980s in the United States had to do partly with the contention that North America was nearly empty when the Europeans arrived. Even if the influence was not conscious, it seems likely that it would have shaped interpretation, not to mention allocation of research funds. Who would give money to dig in regions where the assumption is that only hunter-gatherers had been resident before Europeans arrived on the scene? Today the shoe is on the other foot, and there is often a tendency to want to emphasize the achievements of non-Western peoples, and their equivalent complexity and civilizational attainment. I think we need to see how things shake out over the next decade or so. My own general take here is conditioned by existence of the Maya civilization. If they had not left stone remains in the form of pyramids, written texts, and, if the late stages of their advanced culture had not been known to the Spaniards who conquered Mesoamerica, we might express skepticism at the idea that the Central American jungle could have produced any sort of high civilization at all. But civilizations have different propensities toward utilization of building materials which can stand the test of time. 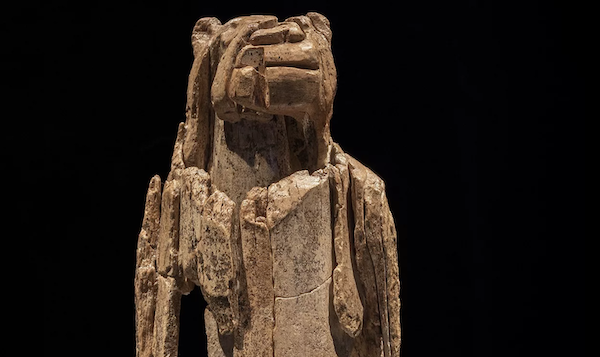 The Chinese have traditionally used materials which don’t preserve well, so that our knowledge of Chinese antiquity is more exclusively literary than is the case in the West, where great public buildings attest to the world of the ancients. Note: if you’re interested in the archaeological debate, a good paper to start with: Amazonia 1492: Pristine Forest or Cultural Parkland?. One aspect of human demographic expansions seems to be the fact that we often model them as a constant diffusion process, when in reality there were likely pulses (economic historians can conceive of this as the periodic gaps between land and labor factor inputs). I don’t know much about the human movements prior to H. sapiens sapiens, and from what I can gather the fossil remains are too sparse to be too wedded to a specific model, but it seems clear that anatomically modern human expansion occurred through a series of rapid outward sweeps which would periodically reach a “natural barrier.” Modern humans reached the Solomon Islands ~30,000 years ago, after which there was stasis for ~25,000 years. Only with the Austronesian expansion did humanity push past the Solomons. And this was no baby-step, ultimately the Austronesians went as far as the Hawaiian islands and Easter Island. We use diffusion models…to quantify these dynamics. Our results show the expansion originated in the Altai region of southern Siberia ~46kBP , and from there expanded across northern Eurasia at an average velocity of 0.16 km per year. However, the movement of the colonizing wave was not continuous but underwent three distinct phases: 1) an initial expansion from 47-32k calBP; 2) a hiatus from ~32-16k calBP, and 3) a second expansion after the LGM ~16k calBP. These results provide archaeological support for the recently proposed three-stage model of the colonization of the Americas….Our results falsify the hypothesis of a pre-LGM terrestrial colonization of the Americas and we discuss the importance of these empirical results in the light of alternative models. It’s an interesting paper because it seems to have been triggered in part by inferences made from the genetic data. I don’t know how confident archaeologists are about their radiometric dates, but I think some of the molecular clock results from the genetics of Amerindians need to be taken with a grain of salt (I don’t see many people repeating some of the really ancient coalescence dates for Amerindian Y lineages at this point). These data seem to indicate that modern humans made it no further than previous hominin groups for several tens of thousands of years. But something happened within the last 20,000 years, and our species made the leap across Beringia. The bottleneck here is certainly not the Bering Strait, which was spanned by land much of the time in any case. Rather, our species didn’t have the biological or cultural capacity to survive in extremely frigid environments. I’ve read modern humans pushed the boundaries of their range in northern Europe further than Neandertals ever did, indicating our flexibility and plasticity. Since the human lineage had been resident in Eurasia for at least one million years that suggests to me that it was behavioral modernity that was key. In particular, how quickly our cultures evolve and shift. Though that flexibility itself may be a function of our biological competencies.